Great food never goes out of style. Grab your sunglasses and get ready for the barbecue. But first, find out what the most popular barbecue foods are while learning how to bar graph. Your child will learn how to interpret data using the information given. How about the rest of his class? He'll use these results to make his own bar graph! 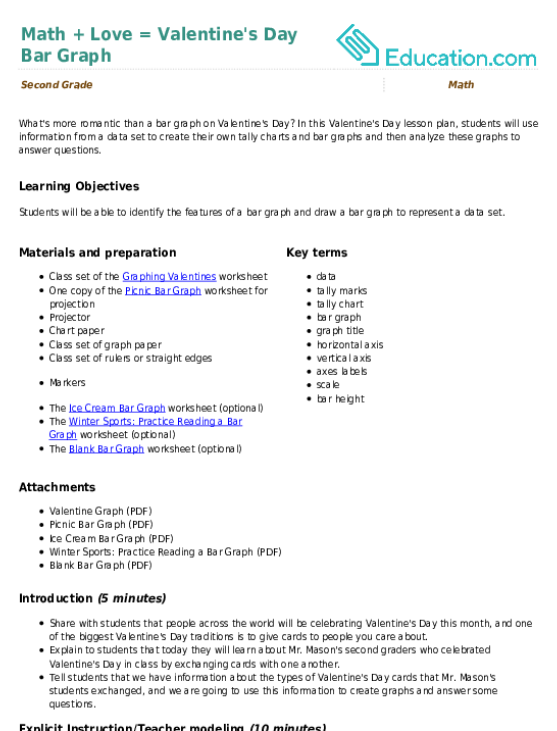 This bar graph shows some of the most popular picnic activities. 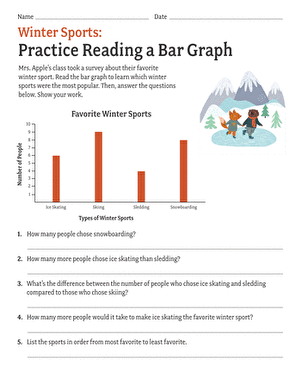 Students will learn about analyzing data from a bar graph. 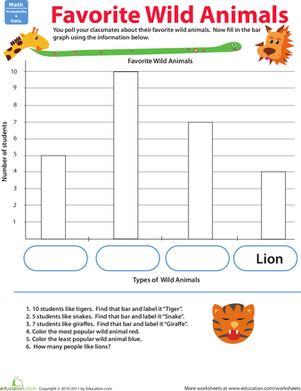 Students will get the basics of bar graphs down with this lesson that shows how data collection and graph composition works in a classroom setting. Practise asking questions with this bar graph. What's more romantic than a bar graph on Valentine's Day?